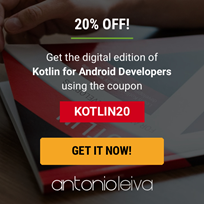 Receive over 100 resources to learn Kotlin in the right way. You will receive the guide in your inbox, ready to be read on any device you want, when you have the time. Some languages saves development costs relying on a existing intermediate language or platform. 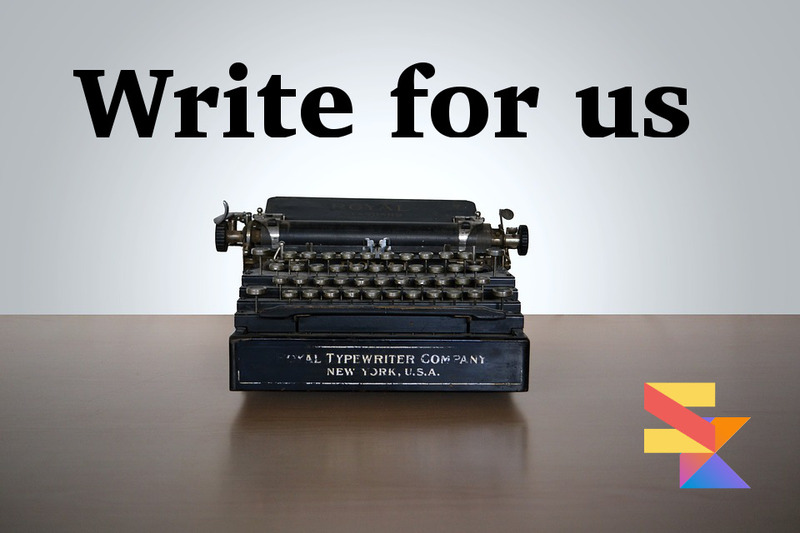 The language you write is compiled or transpiled to a different language. So the existing compiler and/or virtual machines can be reused. This is the approach that Kotlin adopts by running on the JVM, which in turns can run almost everywhere. The current implementation targets ECMAScript 5.1 but there are plans to eventually target ECMAScript 2015 also. We are going to see how to ignore later. To add this information there is no smart way to do it. There is only the hard way: do it manually. Fortunately the Kotlin creators have included ts2kt a tool that translate TypeScript declarations in Kotlin ones. So you may be able to reuse them, but compatibility is not perfect. In fact for this tutorial we tried to use it for D3.js and it did not work without errors. That is a complex library, so your mileage may vary. 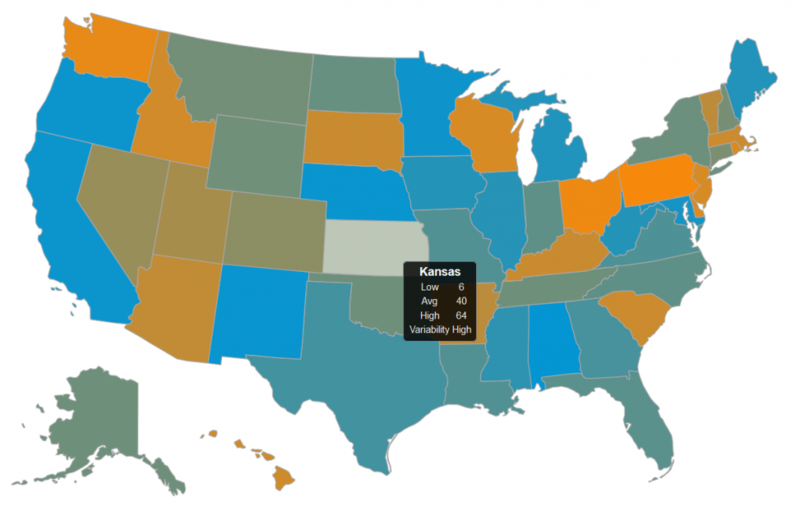 The project for this tutorial is based on the D3.js example called US State Map. The D3 (Data-Driven Documents) is a famous library to create interesting and complex data visualizations. Our project repository is available on GitHub. Given that the original code is released under the GPL3 so will be the code of our example. The idea is quite simple: a map of the USA with its states visible and colored according to the (randomly generated) temperature data. A tooltip will be displayed when the mouse hover a specific state. This looping video shows a generated map. We are also going to add a simple table listing the temperature data. The project only deals with client-based code and not server-based. While it is by no means hard adding a build automation system this is not the focus of this tutorial, so we opt to use the simplest way. 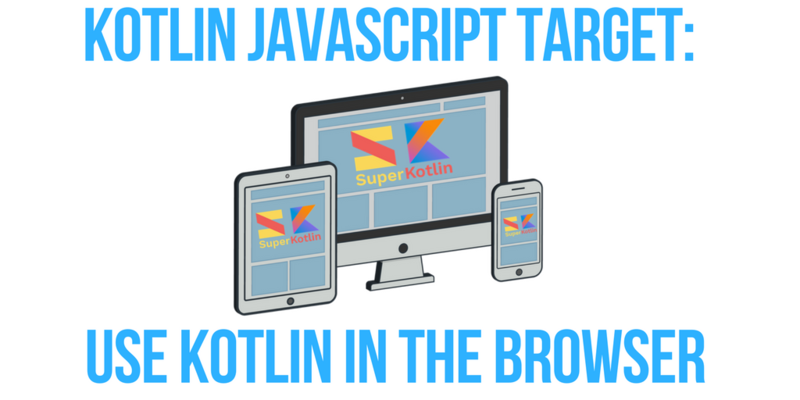 We are also going to use also a library to simplify the creation of HTML code called Kotlinx.html, instead of using string concatenation or interpolation. 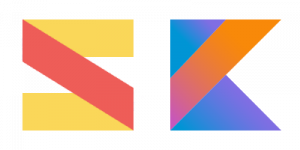 So download kotlinx-html-js from the binary repository and add it to your project by going into Project Structure. We put it under the lib directory. We have it created just under the root project directory, but you can put it wherever you want. The next step is creating a .kt file inside the src directory. We chose the name main.kt, but the name is not relevant. 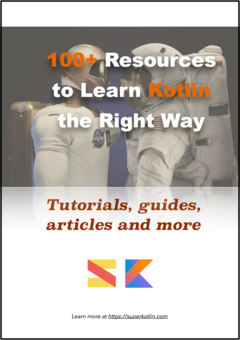 This file will contain our Kotlin code for this tutorial. The files under the out directory, including the directory itself, are generated when you build the project. The .meta files include code to support reflection and you do not need them to run the project. All that remains to do is to access the file index.html in a web browser to check the result. Now we are going to copy the aforementioned D3 example. We have to download d3.v3.min.js (that I renamed in d3.js), uStates.js and include them under the lib directory. Then we have to add this code to our index.html file. This code adds the d3 library, the custom functions to display the USA States and the svg tag that will contain the map. You should also add the style tag and its content (not shown here) from the index.html included in the D3 example. The file uStates contain the data on the shape of the USA states and a few functions to display a tooltip with temperature data when the mouse hover a state. Replace the main function of our Kotlin code with the following. It is quite easy to understand what the code does: it generate random temperature data for each state and then it generate the tooltip for each state. 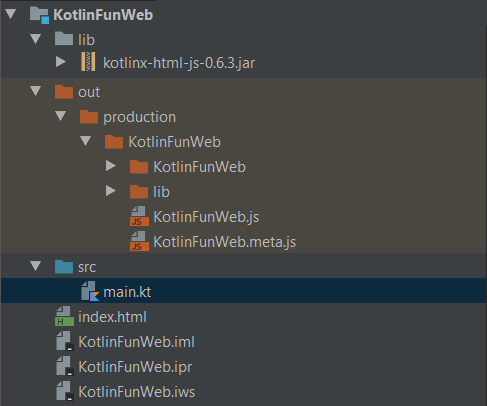 In the first js function we only changed the colors of the d3.interpolate call to match the colors of the Kotlin logo. The function d3.interpolate uses the given colors as the starting and ending points of the scale. Basically the first color is associated with the value 0, while the second one is associated to 1. Any value in between is associated to a color obtained by mixing the two extremes: the lower the value, the closer the color will be to the low extreme, the higher the value, the closer the color will be to the high extreme. Notice also how by using """ we are able to use a multiline string constant. The third call to js is peculiar. Actually the call per se is normal, but its result is assigned to a dynamic constant d3_kt. The dynamic keyword switch off the static typing checks and so anything can be used as methods of d3_kt, even non-existing functions (e.g., d3_kt.heatDeathOfTheUniverse("now"). Of course, if you actually call a non-existing function at runtime the call will fail. The tooltipHtml function receives as arguments the name of the state and the data on the temperatures. With them it generates the HTML that shows the data for the state. The original function is concise, but also messy. It is a long concatenation of strings that is hard to read and easy to get wrong. The kotlinx.html library instead gives you a type-safe builder that guarantees the proper structure to the HTML code by forcing you to create valid HTML. First, we have to import the proper packages for kotlinx.html and traversing the DOM. Then we have to define the class that hold the temperature data and the color for a state. Finally we can see the code of the function. The first thing that you have to remember is to make sure that you pass a String where you need it and not an object. The second one is to prefix the call with the + operator. This is needed because Kotlin transform the + in a call to the unaryPlus function defined by the library. That function add the argument to the children nodes of the current node. So this works by relying on smart conventions and good functional support. 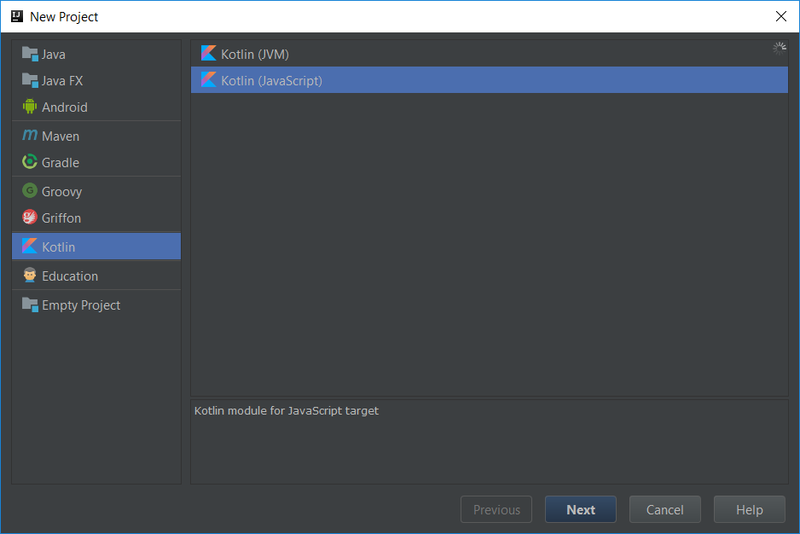 Which means that you can also create a similar library in Kotlin. Remember that the table, td, etc. are nothing more than functions that accepts a lambda as one of their arguments. And according to the convention of the language you can put the lambda out of the parentheses if it is last argument and omit the parentheses if the lambda is the only argument. The last thing to see is the variability column that we added. It display the results of the call of a variability function that we are going to see now. The variability function relies on the when expression to do most of the work and returning the appropriate String. in 1 .. 20 -> "Low"
in 21 .. 50 -> "Medium"
You can think of this expression as a smart swich statement. A traditional switch does not support complex branch conditions, but only constants value. Instead when does support arbitrary branch conditions and more. Our example here shows how to use a range as a branch condition and return a corresponding String. The else branch is the equivalent of default and can be excluded only if the compiler thinks that all cases are covered by the defined branches. This happen, for instance, if the argument of when is a boolean expression and you include a true and a false branch. When can be used as an expression or as a statement. Once you build the project the result should look like this image. The final code that you can see in repository also adds a table. We add a few styles, a call to a new function drawTable inside the main function and of course the mentioned new function and another one called drawTable. The code it is not complex, and you can see fully in the repository. Here we are only going to see a few interesting tidbits. 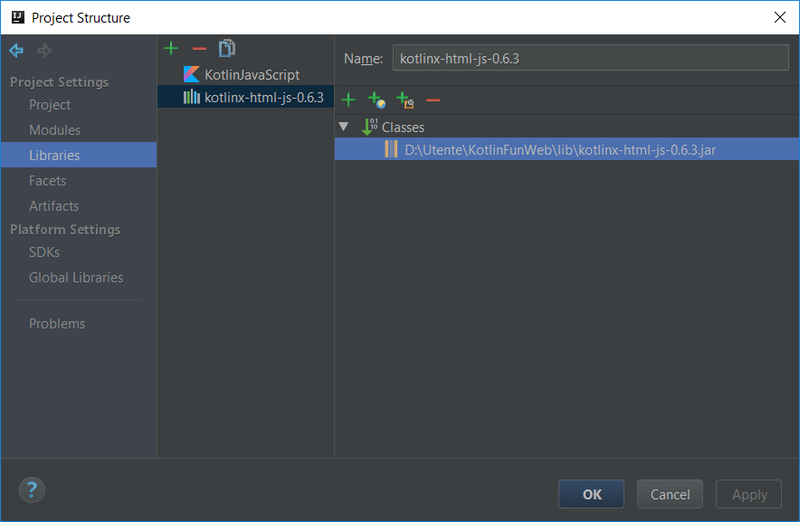 Inside the for cycle we can see how to add CSS classes to the HTML generated with kotlinx.html. We also call the styleTable function. (state.high - state.low > 33) && (state.avg > 33) && (state.avg < 66) -> "middle"
As you can see, you can also call the when expression without an argument. In that case the conditions are boolean expressions. That is to say the first branch that is true is executed. In similar situations when is not a replacement for a switch, but for a long chain of if-else. A clearer and more concise alternative. When a function return the result of an expression you can use a short notation: omit parentheses and use a equal sign (=) instead. These are called single-expression functions in the documentation. You can also omit the return type when the compiler can determine which one it is. For some reason the angle brackets were removed when pasting the code. It should have been Array<String>, instead of Array. Now it has been corrected.